To insure quality and reliable service, we start with only the finest oxygen-free and oil-free fine gauge wire. A no-clean formulat to be used in conjunction with processes using RMA type no-clean fluxes. The easy to operate thumb-wheel vastly reduces opportunity for contamination. 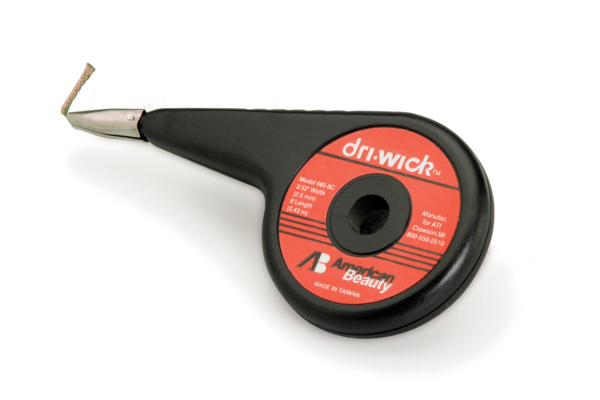 The Dri-Wick Desoldering Braid in Thumb-Wheel dispenser comes in attractive point of sale packaging. Thumb-wheel actuated for easy, contaminant free usability.